Ray-Ban round sunglasses in propionate plastic. Lens-over-frame gradient lens; logo script. Signature Ray-Ban shaped temples and original rivets. For in-store inquiries, use sku #2663878. 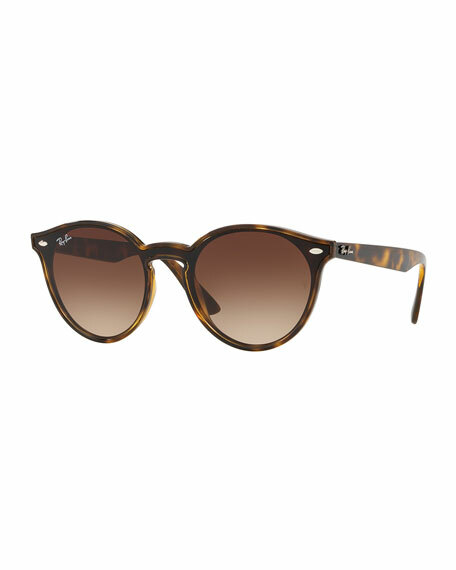 Oliver Peoples "Gregory Peck" round sunglasses. Dimensions (in mm): 47-23-150. Plastic frames. Brown lenses. Stud detail at temples. Contrast arms. 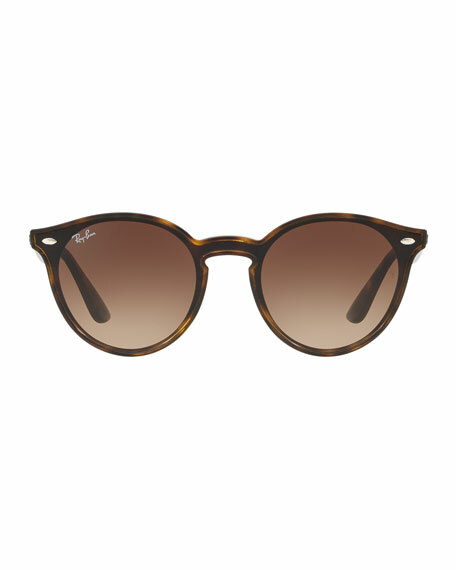 Oliver Peoples "Gregory Peck" round sunglasses. Dimensions (in mm): 47-23-150. Plastic frames. Brown lenses. Stud detail at temples. Contrast arms. Logo decal at left earpiece. 100% UVA/UVB protection. Made in Italy.